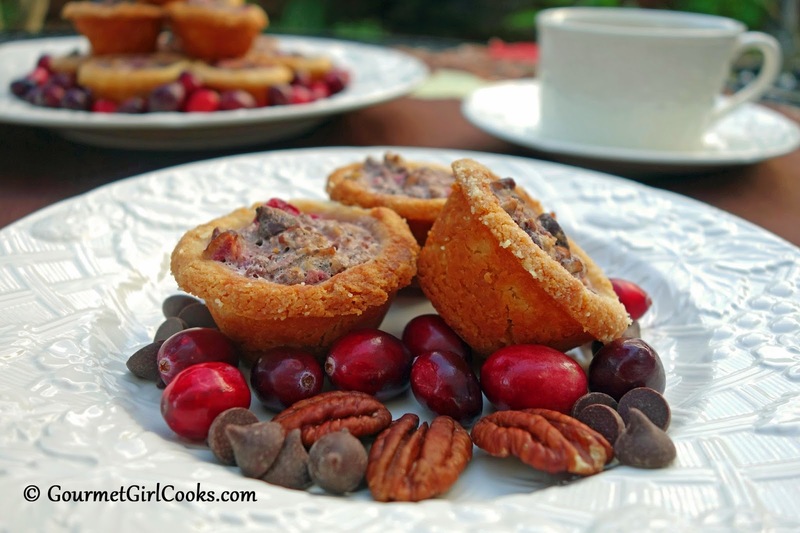 Gourmet Girl Cooks: Chocolate-Cranberry Pecan Tartlets - NEW RECIPE ALERT! 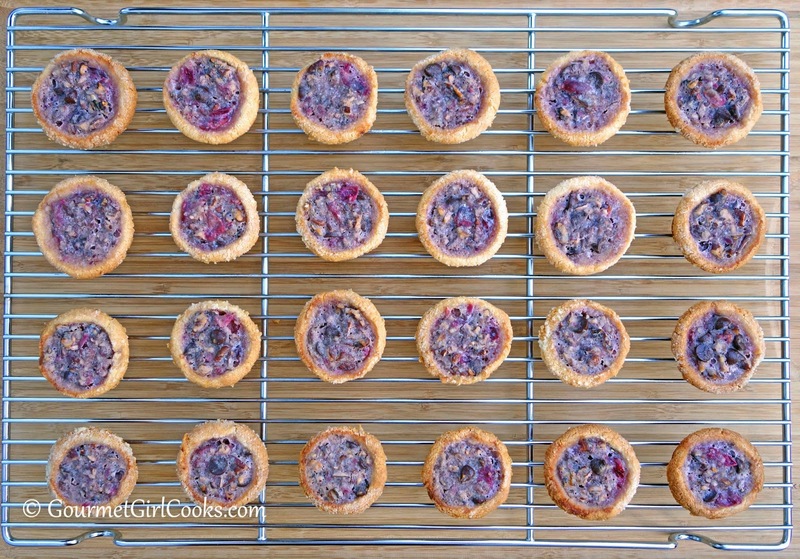 These tarts look wonderful and with only 2 net carbs are a real treat. I love your recipes. Thanks for all your hard work!!! Wow, FANCY! More for the Thanksgiving file! 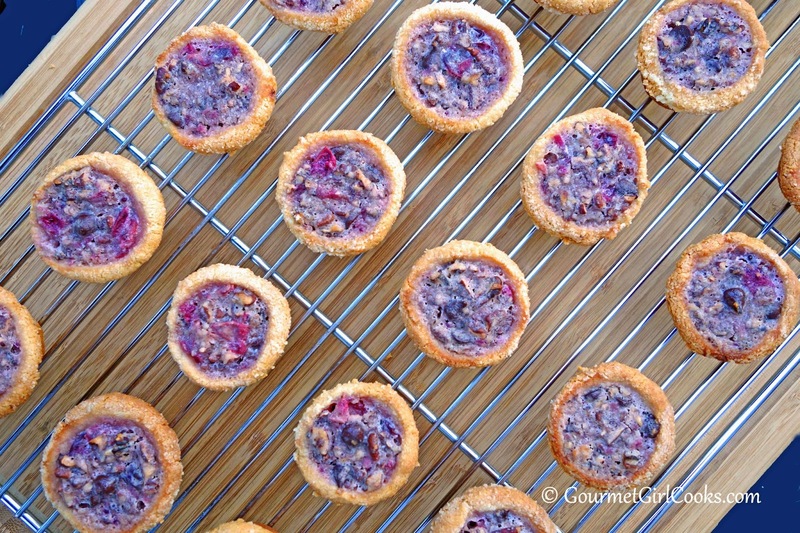 I'm kind of obsessed with cranberry right now, too. I knew we were of the same mind when I saw the cranberry power bagels. I'm putting orange zest in mine, too. YUM. 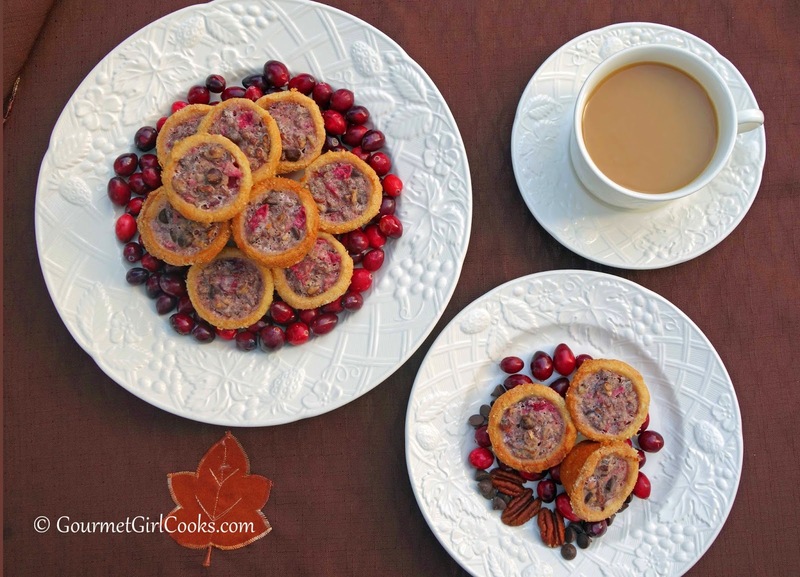 Another one of your wonderful cranberry recipes ... Yipee! This one looks extra special. These will be great for Christmas "gifting." 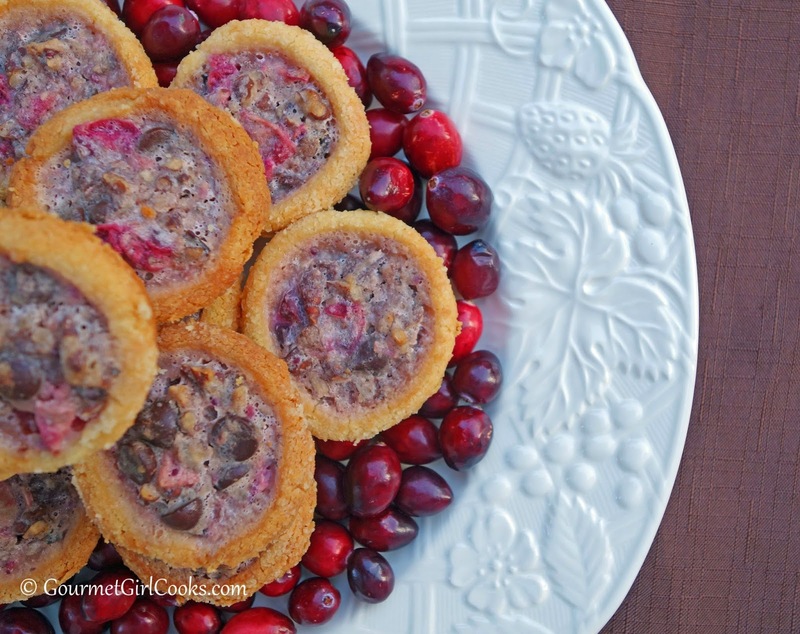 It's not hard at all to go through a bag of cranberries, is it! That reminds me ... gotta pick up some more ... soon! 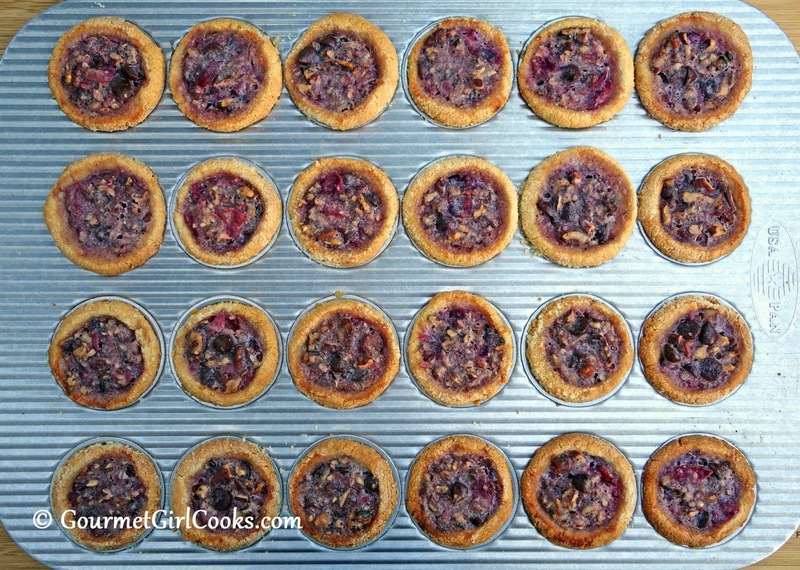 made the tartlets yesterday…am just finishing my FOURTH tartlet of this pm…oh dear!! so small/bite-sized…just toooo easy to pop in. 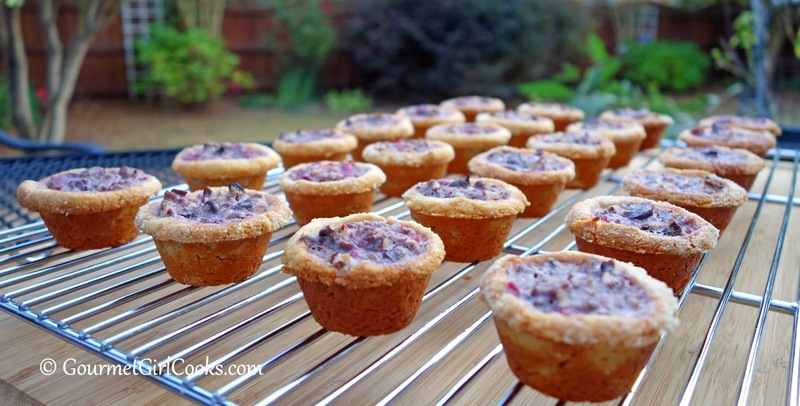 they are quite delicious as is, altho cranberry taste not very predominant. wondering if it might be possible to add more intense cranberry flavor. 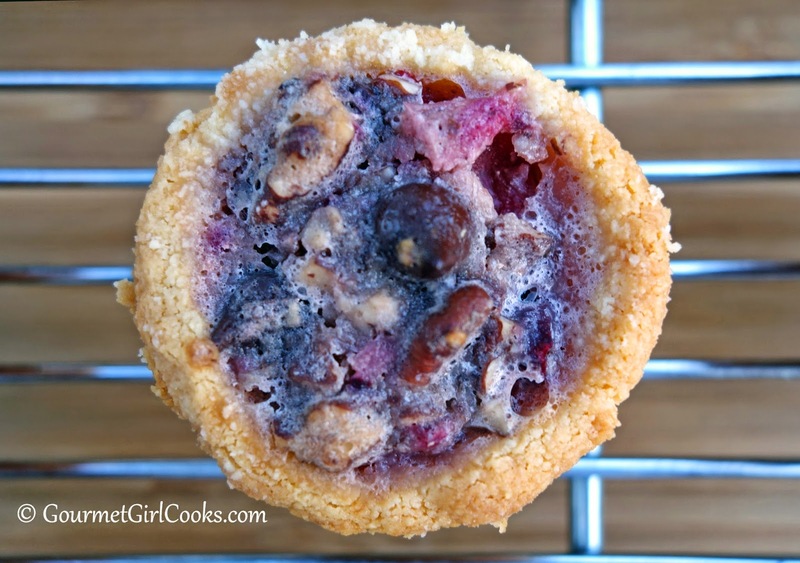 it's YOUR FAULT…you've got me on the cranberry bandwagon lol!! i'll take suggestion to reduce pecans and increase cran sauce..NOT interested in reducing or eliminating chocolate lol! !